Brass Plaques Australia delivers plaques Australia wide. 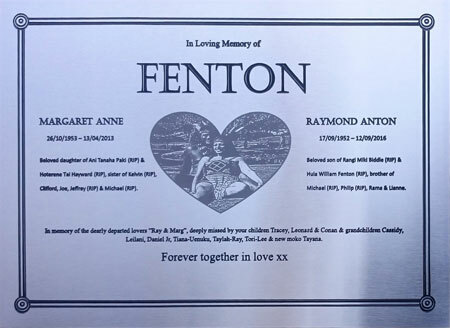 We manufacture plaques from Brass, Acrylic & Stainless Steel, depending on your budget, application and taste. 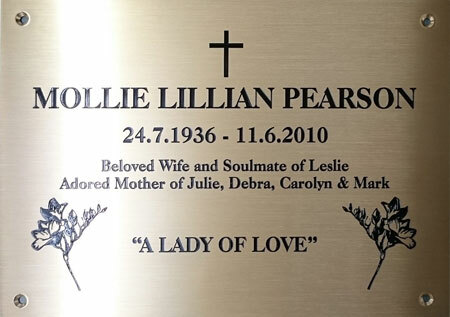 Brass Plaques Australia produce quality plaques on time & on budget! We do everything from memorial to corporate openings to anniversaries. We can add logos, graphics and images to your unique memory. E-mail or phone for a free quote. We do our best to reply to your enquiry on the same day! While not the best product for total exposure to the weather, we give our plaques the best protection available by sealing them with multiple coats of a U.V. stabilised lacquer. This is then followed up with a proprietary oven bake/curing process. If your plaque is to be placed in full weather, or close to the ocean, we highly recommend 316 Stainless Steel.